Get it straight from RJ Ledesma. Present a good food-related concept and it surely won't take any time at all before Filipinos come gobbling it up. After all, we are known for loving good, hearty meals enjoyed in the company of family and friends. This is exactly what RJ and Vanessa Ledesma did upon being inspired by the multisensory dining experience they had at the local Mercato Centrale during their honeymoon in Florence, Italy. 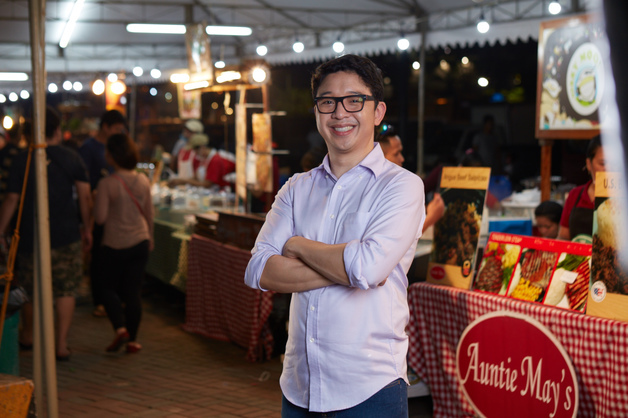 Six years on, and with the help of fellow co-founders Anton (of ourawesomeplanet.com) and Rache Diaz, the Philippines' own Mercato Centrale now has 50 food vendors (they started out with only 15) racking up impressive 8,000 to 10,000 foot traffic with every Night Market run. They have also borne witness to proud graduates of their program, such as Manang's Chicken, Merry Moo, and Spring by Ha-Yuan, among many others. Have an interesting food concept. The well-curated selection of food vendors in Mercato Centrale is no coincidence. According to RJ, they regularly hold a Taste Test Tuesday, which serves as an audition for aspiring Mercato vendors. Apart from passing the taste test, the food should be scalable and offer a sense of authenticity, all while complementing the other offerings in Mercato. It need not be a novelty dish per se, but it must have heart. Whether it is an heirloom dish or a spur-of-creative-moment creation, it's the story behind the food where their passion for it will shine through. Sync your digital infrastructure with your brick-and-mortar model. Presentation should come as a high priority for food entrepreneurs. Booth merchandising, says RJ, is something that you should invest in especially because you want to leave a good impression both in person and online. You should also supplement your physical booth's presence with digital media efforts so you can have a sustained and wider reach of your target audience. For this, RJ relies on Globe myBusiness, which helps keep him in touch with his partners, vendors, and clients. It also gives him online and SMS advertising solutions. More than providing a super customizable postpaid plan, what RJ appreciates most about Globe myBusiness is its workshop series. Some of the workshops include food and product photography and talks by pro retailers on monetizing your products. "Most of them are not intentional entrepreneurs," RJ observed about Mercato's food entrepreneurs. Instead, they stumbled into the business because the opportunity came to them. By being mindful of what’s happening around you, you can find your pain points and from there be spurred to come up with a solution. "Find your great source of irritations, and then turn them into inspiration," he advises. You, too, can turn a potential idea into a full-fledged entrepreneurial success. Get started by getting the right solutions from Globe myBusiness. Sign up for the mailing list of Globe myBusiness here and find out how it can help you improve and grow your business to create success. 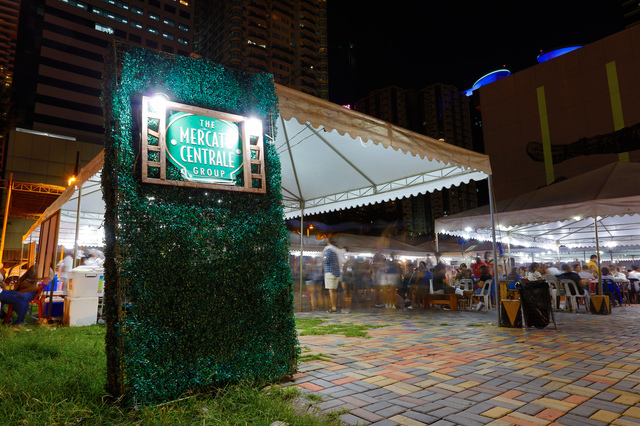 Meanwhile, Mercato Centrale is always on the lookout for new food vendors. If you'd like to become one, feel free to apply for Taste Test Tuesdays by sending them a message on Facebook.